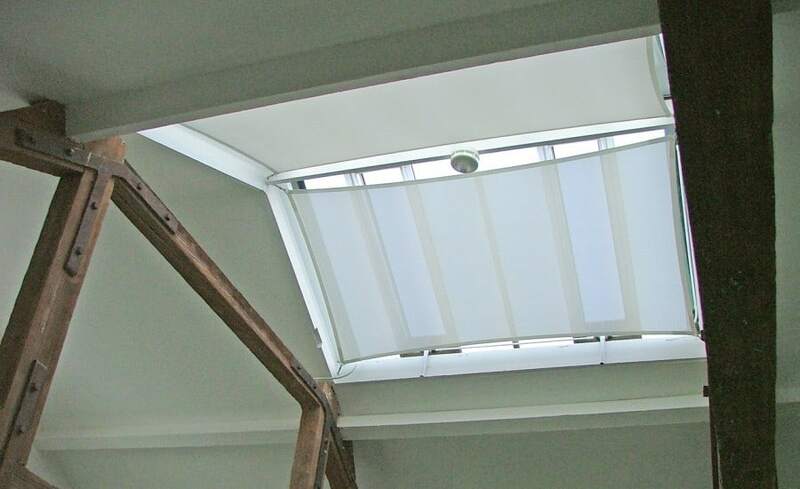 In an Architects office in Chiswick, Architen Landrell won the contract to install a series of internal screens to the inside of a glazed roof. 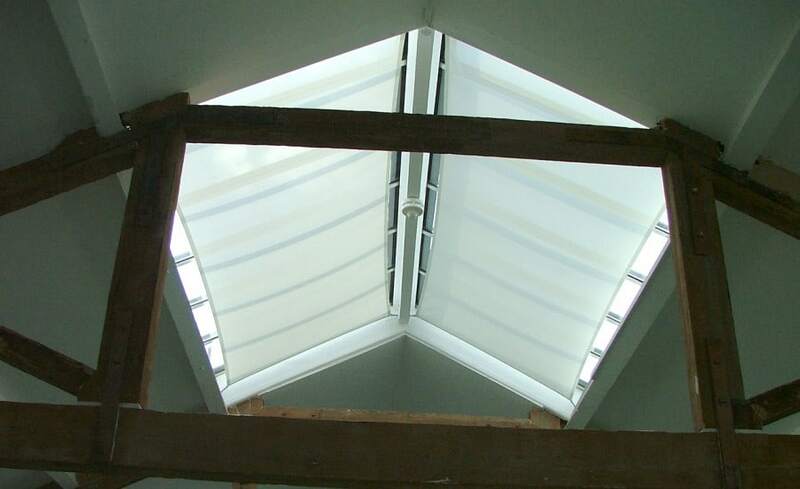 The screens were primarily designed to offer solar shading to the people working beneath in design department but they also dramatically reduced the temperature in the rooms. 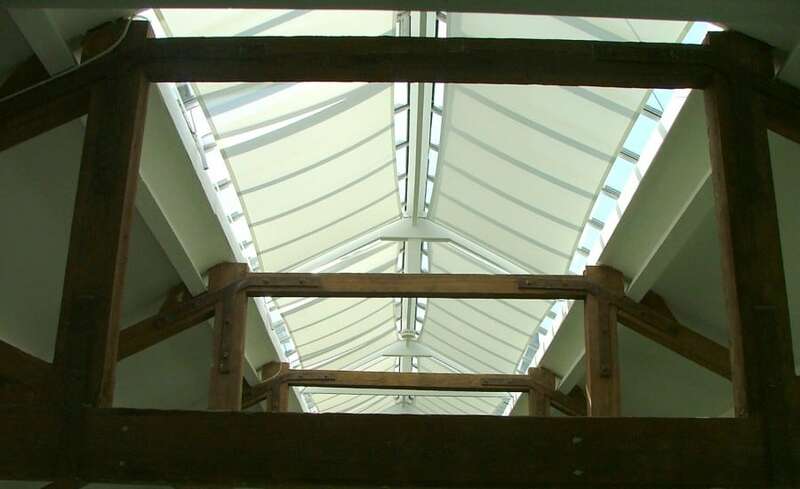 The glazed roof, which caused significant problems with glare and heat, had a number of timber rafters which installers were able to fix the screens to. 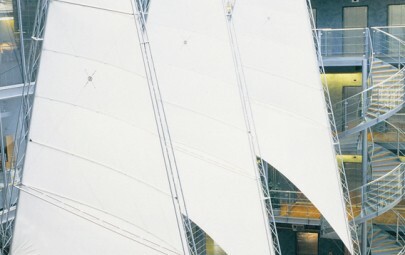 The screens themselves were designed by Architen to provide solar shading but not to cut out the light altogether, therefore a mesh fabric with approximately 10% light transmission was used. In addition, there were some alterations needed to the vertical window blinds. While all had internal roller blinds, they were ineffective when the windows were opened. 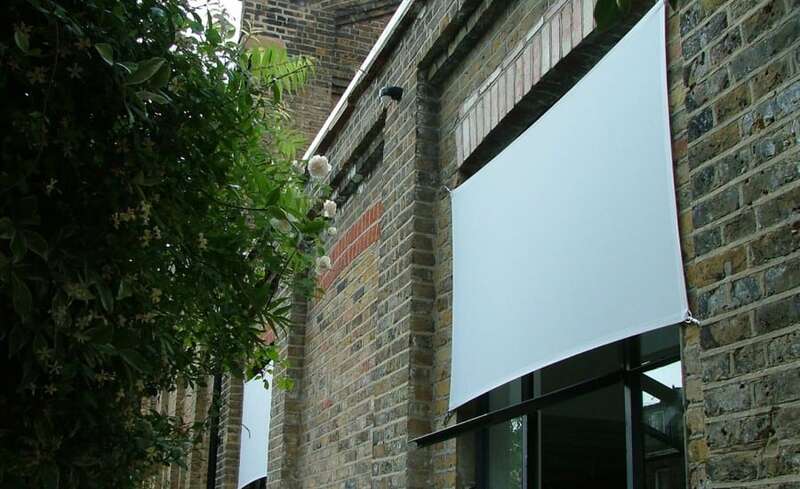 As a result, the client asked Architen to install some blinds on the external facades of the building. 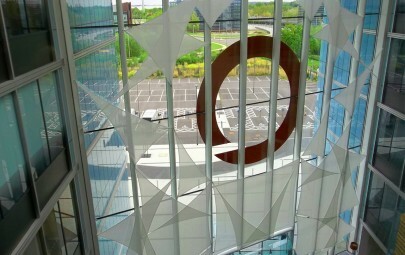 Half window screens were installed and offered shading whilst windows are open. The results were immediately impressive. 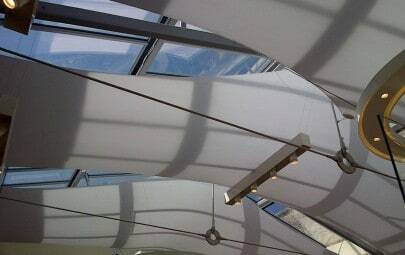 While the blinds were effective at cutting out the glare and looked architecturally stylish, the temperature in the room immediately dropped and created a far more pleasant working environment.